Te ofrecemos este voluntariado europeo cultural para apoyar la organización de un festival de cine, donde ya una voluntaria española , Rocío, realizó este proyecto el año pasado con éxito. We call for 2 long term volunteers for 10 months. Spain, members of Building Bridges Association. The volunteer programme of IN THE PALACE offers 6 young people from different countries the opportunity to get an inside touch of the organization and working process of established short film events such as International Short Film Festival IN THE PALACE, its parallel programmes in film training PLUG-IN and industry meetings FILMER FORGE, its accompanying film forums and other initiatives. The project is implemented by Format SFF Foundation, hosting organization and coordinator of the programme. The project duration is 15 months and the volunteers are going to spend 10 months in Bulgaria in order to participate in the preparation and conduct of the festival and all its parallel events. They will also help the organization in its daily office activities and will be the leaders of volunteer teams before, during and after the festival events . Volunteers are engaged in tasks related to the promotion of events, getting familiar with the atmosphere and the venues of the events, and tasks, developing creativity in the fields of cinema, journalism, design and photography. Leading goal is to quickly adapt to the environment and to form a specific attitude for the upcoming events. Analysis and assessment of personal qualities and interests is also important, since based on them will be done the distribution in activities. In the phase of actual conduct of the events the tasks of the volunteers are related to specific details in organizing events. In this way they will be able to explore in detail the organization of a major international events and to acquire more and new knowledge and skills. After the event is over volunteers are enrolled in: support the departure of the official guests of the festival and participants in the initiatives; implementation of post-implementation promotion campaign; self evaluation; dissemination of results. The aim of the project is to allow young people interested in audio-visual arts and culture to participate in the organization of these events, while having access to all screenings, master classes, debates and networking possibilities which the festival and the parallel programmes offer. 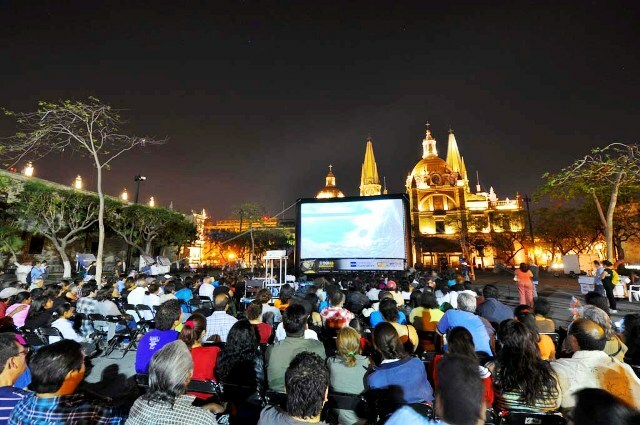 – Control access to the festival locations compliance with the order information for the film program – meeting the festival audience, controlling access to the halls for screenings. – Learning and practical application of skills in working with video and photo camera.